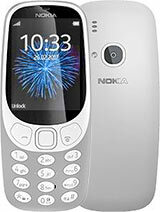 chicky, 19 May 2015I need one mobile is Nokia 3310 So Plz tell me how can I get this... Kindly Oblige me... ... moreTry eBay there are many 3310's for sale. How about Nokia 3310 pureview? why NOKIA stop manufactured this awesome phone?? Very strong phone .I have one, but found,some one throw away.in rubbish side in year 2014. Take back and check still function , problem battery faulty. It very clean inside . Change cover and battery. Wa la another of my phone collection. My first phone . A GREAT weapon indeed ! Incredibly long battery life, cheap and rugged, clear display...and last, but not least, can be used as a potent weapon in close combat. Can this phone supports Whattsapp? This phone is best when it comes to speedtyping without looking the keypad. 0.5% popularity, seems like this phone is gaining on daily hits, awesome.